Colour: Black, blue, brown, grey, orange, pink, red, light blue, violet, white, yellow, green, yellow/green, orange. 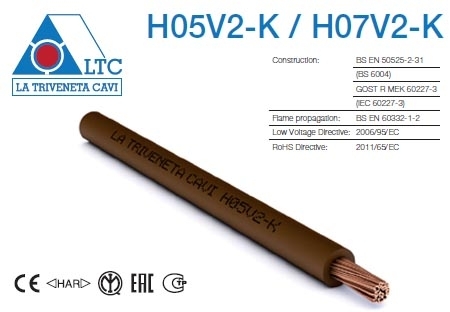 For use inside electrical equipment in which the cabling operates in high temperature zones. Not to be used in contact with objects at temperatures above 85°C. 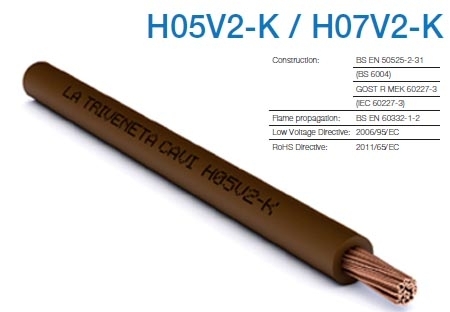 Not allowed for static installation in distribution systems if the temperature exceeds 70°C.